Errata Security: Cliché: Safen Up! This is similar to the Simpsons episode where Germans buy the power plant. 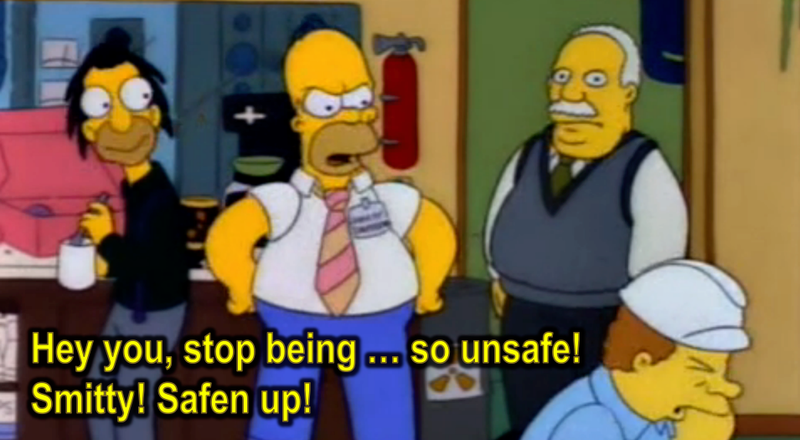 In fear for his job, Homer (the plant's Safety Inspector) starts going around telling people to "Stop being so unsafe!". Security is not a platitude; insecurity is not a moral weakness. It's a complex set of tradeoffs. Going around telling people to "safen up" will not improve the situation, but will instead breed resentment. 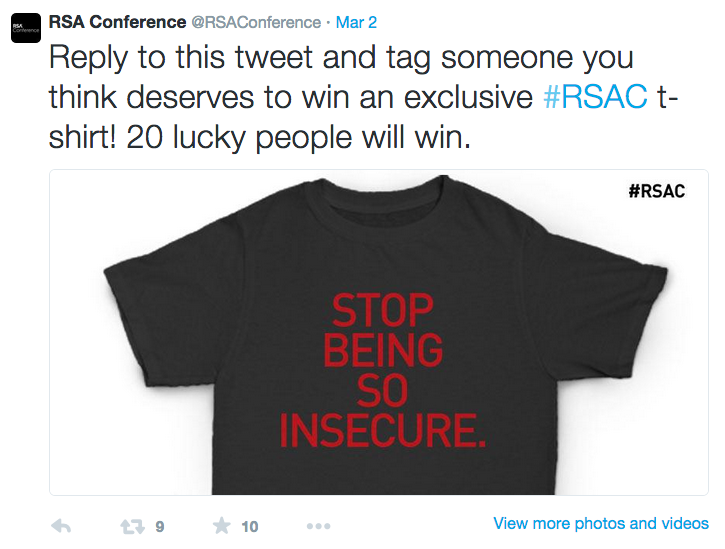 Infosec people are widely disliked because of their moralizing. The only way to be perfectly secure is to cut the cables, turn off the machines, thermite the drives, and drop the remnants in a deep ocean trench. Anything less and you are insecure. Learn to deal with insecurity instead of blaming people for their moral weaknesses. I thought he said - Safe Enough.